The first correspondence chess games in Belgium were those played by Antwerp amateurs. They played between 1827 and 1829 two games against amateurs from Amsterdam (Netherlands). The names of the players are not known. The games, however, were kept for posterity in the book “Correspondenz-partien” by L. Bledow, published in 1843 in Leipzig (Germany). Amsterdam won 2-0. At the end of the 19th century, the “Cercle des Echecs de Bruxelles” organised several CC games, in 1895 against the French club of Lille and in 1899 against Paris. These games are mentioned at several places in the splendid bulletin “Revue d’Echecs”, published from 1900 to 1909 by the Brussels club. In January 1903, D. Janowski, in his column of the French weekly “Le Monde Illustré”, informed his readers that professor Isaac Rice from New York, the well known chess sponsor, offered 1,000 francs (worth today 10,000 USD) to organise an international correspondence tournament on the “Rice Gambit”, who’s inventor he was. The start list was closed with nine entries, including the “Cercle de Bruxelles”. The moves of the eight games were displayed with diagrams, on boards on the wall of the club. At the end of 1903, the “Cercle de Bruxelles” started also a game against the club of Antwerp. During the First World War (1914-1918) two fellows, E. Lancel and L. Weltjens, organised correspondence chess games among Belgian soldiers during their detachment at the Belgian Northsea station De Panne against l’Echiquier d’Aquitaine (France). After the war, several newspapers organised small CC tournaments: “La Nation Belge” by E. Lancel, “Le XXe Siècle” by L. Demey. In 1926, the well-known chess magazine “L’Echiquier”, published from 1925 to 1939 by E. Lancel, also offered to its readers CC tournaments. Apparently they had little success as no results were published. In 1934, L. Demey founded the “Association Belge des Joueurs d’Echecs par Correspondance” (AJEC). He also negotiated with the Postal Administration to enforce in Belgium the cheaper rate of printed matter to include chess cards. This favourable rate was abolished in 1984. AJEC organised the first Belgian championships in several categories. AJEC also published a monthly duplicated bulletin. Albéric O’Kelly de Galway, who in 1962 became the third correspondence chess world champion, started his first correspondence games with AJEC. He won the Belgian correspondence chess championships of 1943 and 1944. At the end of the thirties, differences of views regarding the bulletin arose. This led to the creation of a new correspondence chess association. On 14th June 1942 a circular letter was sent to several chess amateurs to found a new association for correspondence chess players and problem amateurs. This letter was signed by F. De Vleeschouder (founder), E. Gooris (first president) and P. Van de Walle (first tournament director). Two months later the first bilingual and printed monthly bulletin appeared. L’Echiquier Belge – Het Belgisch Schaakbord (EB/BS) was born and named according to the proposal of the next president (A. Marquet) after a written ballot. The number of members grew rapidly thanks to the devotion and the clear-sightness of pioneers: A. Marquet (president), L. Wittebroodt (secretary), M. Dragonetti (director of the bulletin), F. De Vleeschouder (treasurer), P. Peeters (promoter), P. Van de Walle (director of national tournaments) and M. Masson (director of international tournaments). On 16th April 1945, F. De Vleeschouder died suddenly, but the increase in interest continued. At the beginning of 1946, E.B./B.S. had 1,386 members, among them many players from abroad. It was a record. Since then, E.B./B.S. has had ups and downs. Twice, in 1946 and in 1950, it nearly disappeared, due to unforeseen circumstances. Each time men of good-will were found to restart the machine and ensure its continuity. From 1950 until 1982, E.B./B.S. had a period of great stability. The monthly bulletin was published regularly without interruption. The number of members fluctuated between 700 and 900. The players were sorted into 5 categories according to their playing strength. Already in January 1947 a national rating system was introduced for all players. The principles of that system are the same as those of the well-known Elo rating system. In 1958, on the occasion of the World Exhibition in Brussels, E.B./B.S. organised its first international CC tournament with 180 participants from 14 countries in 29 groups. The winner of the Champions’ group was W. Baumgartner (SWZ) ahead of J. Mollekens (BEL). On an international level, after the victory of O’Kelly in the third World Championship, Coolen, Boey, Blockx and Maes participated with success in next finals of the World Championship. All these activities were arranged by the board members: P. De Meulenaer (President 1952-1984), E. Rigaux (Treasurer 1950-1979), S. Trépant and J. Adant (Director of national tournaments 1950-1955 and 1955-1980), E. Rompteau and A. Donny (Director of international tournaments 1950-1958 and 1958-1973), R. Verlinden (Director of the bulletin 1950-1963), H. Muller (Director of the bulletin 1964-2001), P. Clément (Secretary 1969-1984), H. Hernalsteen (Director of promotion 1969-1993), L. Fontaine (Director of the Chess Compositions 1953-1976) and his successor I. Vandemeulebroucke (since 1976) and C. Stancioff (Rating Director 1980-1996). - Tournaments and matches, and so on. Since 1982/83, the number of members has declined each year as in other countries. The development of computer chess programs is without doubt a main reason for this decline. 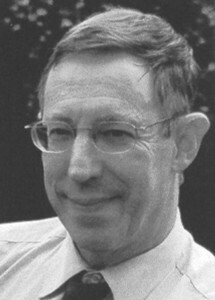 In 1985, P. Clément took over the presidency, J.-P. Dondelinger conducts the international tournaments (since 1984), financial affairs are by A. Bréda (1985-1992), F. Huybrecht (1993-2008) and B. Tellier (since 2008), national tournaments are led by L. Schepers (1982-1998), F. Huybrecht. (1998-2008) and, since 2008, J.P. Dondelinger. In 1992, for its 50th Jubilee, E.B./B.S organised an original tournament opposing 6 of the main Belgian postal players against 5 of the strongest over the board players. FM Geenen won, ahead of CCGM Boey both with 7,5 out of 10. A booklet (33 pages) containing all the games, most of them with comments, was published. From 1998 till 2005 tournaments by fax and e-mail, led by W. Palmkoeck since 1998, have been organised. G. Boonet won the first and second (1998 + 1999) national e-mail championship. The following winners were: 2000 Surmont and 2001 Versavel. Since 2002 E.B./B.S. has its own website. Webmaster is M. Smet. The inauguration of the ICCF webserver in 2004 and the continuous decrease of membership had important consequences: the disappearance of tournaments by email or fax, a further decrease of postal tournaments and a decrease of the remaining national competition in favour of international tournaments. The number of members has fallen under the psychological level of 100. In the next years EBBS will have to face important challenges: how to attract again new and young players and how to limit the growing number of drawns ? The monthly printed magazine had to be replaced by an electronic one edited 6 times a year since 2008 by L. Palmans. In 2007 E.Cornil and P. Clement published on the internet a complete overview of correspondence chess in Belgium from 1827 till 1970 with many pictures, articles and games (333 pages in French). This compilation may be dawnloaded free of charge from www.creb.be (Cahiers du CREB tome 3). List of Belgian champions A.J.E.C. 1935 Gooris; 1936 Gooris; 1937 Gooris; 1938 Mathot; 1939 Gooris; 1940 Mathot; 1941 Gooris; 1942 Baijot; 1943 O’Kelly; 1944 O’Kelly. 1943 Gooris; 1944 De Vleeschouder; 1945 Baijot; 1946 Baijot; 1947 Mathot; 1948 Mathot; 1950 Mollekens; 1951 Gobert; 1953 Opsommer; 1954 Boudelet; 1955 Mathot; 1956 Coolen; 1957 Coolen; 1958 Coolen; 1959 Boudelet; 1960 Coolen; 1961 Boudelet; 1962 Coolen; 1963 Leroy; 1964 Beyen; 1965 Henrotay; 1966 Blockx; 1967 Mauquoy; 1968 Roose; 1969 Boudelet; 1970 Maes; 1971 Maes; 1972 Clément; 1973 Maes; 1974 Janssens; 1975 Campeert; 1976 Van Leeuwen; 1977 Rabosée; 1978 Opsommer; 1979 Maes; 1980 Maes; 1981 Maes; 1982 Maes; 1983 Wasnair; 1984 Denys; 1985 Delabie; 1986 Noseda & Weyns; 1987 Maes; 1988 Polaczek; 1989 Weyns; 1990 Vandervaeren; 1991 Gevers; 1992 Vandervaeren; 1993 Vandervaeren; 1994 Maes; 1995 Broucke; 1996 Vandervaeren; 1997 Vandermeulen, 1998 Leroy, Bex & Goyvaerts, 1999 Jaime-Summers, 2000 De Smet, 2001 Pauwels, 2002 Lejong, 2003 Ottevaere, 2004 Casier, 2005 and 2006 Huybrecht, 2007 Van Osmael, 2008 Ghysens, 2009 Mignon, 2010 and 2011 Ghysens. The 67e championship (2012) has started in October 2011.